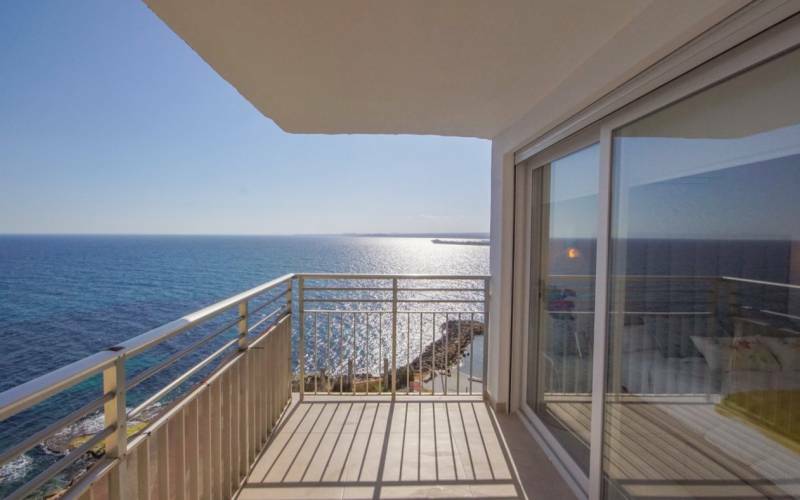 This offer was disabled in SpainHouses.net on 17/04/2019, but you can have a look at the last active offers of Apartments in Playa del Cura (Torrevieja) in SpainHouses.net. 3 bedrooms + 2 bathroom + terrace + sea views. We present this wonderful completely renovated property , with brand new quality furniture and appliances. The house has been completely renovated and decorated with exquisite taste. In total it has three bedrooms with fitted wardrobes in each of them, two full bathrooms, ample living room with American style open kitchen and a large terrace with front sea views. Torrevieja is located about 45 km south of Alicante and the city was originally a small fishing village that has grown to just over 100,000 inhabitants. In summer, the number increases dramatically, as many Spaniards have their summer resorts here. Many foreigners have also settled in recent years,as the climate here is very favorable for people with skin and calm problems and rheumatism. Thanks to the city being situated between two salt lakes,a unique microclimate is created here, which is considered one of the best in the world, according to WHO. Torrevieja has long and very popularbeaches such as La Mata beach to the north to Playa Los Naufragos in the south. It is a vibrant and cosmopolitan city with beautiful squares, wonderful walking paths and charming shopping streets with good restaurant choices. Welcome to Hansson & Hertzell Realty and the most healthy country in the world! . Be the first one to see: create an alert on new properties in Torrevieja and you'll receive new offers by email. Turn to the experts: contact real estate agencies in Torrevieja.